“Am I Wrong” is a song by Norwegian musical duo Nico & Vinz. Produced by William “Will IDAP” Wiik Larsen, the song was initially released as a digital download single in Norway on 12 April 2013, credited to the duo’s previous name Envy, and became a hit in various Scandinavian countries, including Norway, Sweden, Denmark and Finland. Upon being released internationally, and following the duo’s name change to Nico & Vinz, the song attained commercial success in various other countries, reaching the top ten in the Australia, Canada, the United Kingdom, and the United States among others. Federal Court Schedules a second Trial for Jon Everhart. 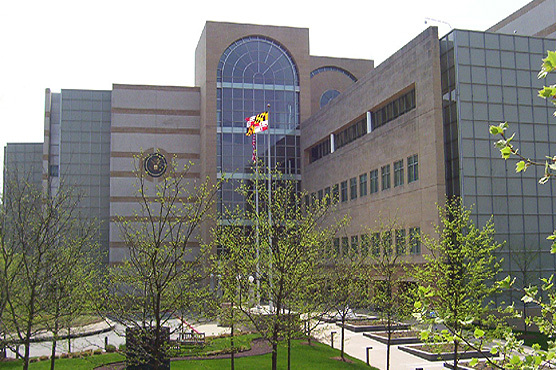 Green Belt Federal Court House in Maryland. A second civil trial in the case of Mr. Jon Everhart against the Prince George’s county public schools (PGCPS) will go to trial starting on March 9th, 2015 until March 13th, 2015 in Green Belt Federal court. Jon Everhart, who was an English teacher at Largo High School from 2003 to 2010, initially sued the school district for $5 million, claiming Simpson-Marcus repeatedly humiliated him in front of students and called him “poor white trash,” according to the court documents. He says that he was forced out of his job for being white. Everhart won his court case in August, and will receive about half a million dollars from the school district, said his lawyer, who has filed almost a million dollars in attorney’s fees. Everhart was fired from the school after receiving two unsatisfactory job evaluations. He claims that his poor performance was because of daily harassment, according to the court documents. His lawyer said his client suffered from severe health problems because of the alleged daily harassment. “The stress caused him to develop high blood pressure, and the high blood pressure ruined his health to the point where he developed heart problems,” he said. 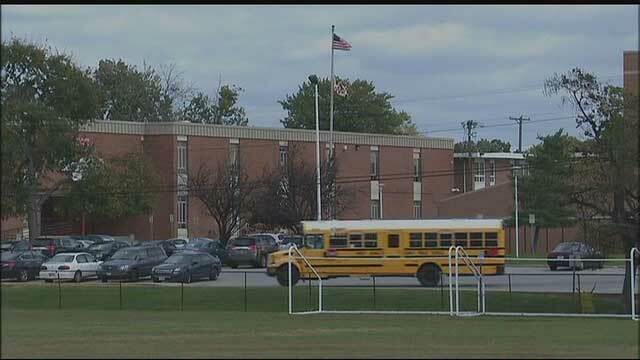 Recently, the school district has filed an appeal against the court’s decision. According to the latest order issued by Honorable Judge Peter J. Messitte, He indicated that, on October 21, 2014, the Court held a teleconference with counsel regarding several outstanding issues, including Plaintiffs Motion for Attorney’s Fees (Paper No. 171) as well as the parties’ response to the Court’s Order to Show Cause (Paper No. 159) dealing with Plaintiffs back pay, pension, health and retirement benefits, and the restoration of his teaching certificate. The Court indicated that it would hold a trial during the week of March 9-13, 2015, to determine the appropriate relief with regard to the referenced items. To allow the parties to tentatively prepare for this trial the Court ORDERS a new phase of discovery limited to the referenced Issues. Discovery will be limited to issues pertaining to Plaintiffs back pay, pension (past, present, and future), health and retirement benefits (past, present, and future), and the restoration of his teaching certificate. Discovery may include interrogatories, requests for documents, and depositions (including depositions of the Superintendent of Prince George’s County Schools, and/or any other persons who may have information regarding Plaintiff’s personnel records). At the same time, Defendant may depose Plaintiff, limited however to issues surrounding Plaintiff’s back pay, pension, health and retirement benefits, and the status of Plaintiffs teaching certificate. MEDIA and Journalistic objectivity in Rebranding Prince George’s County. 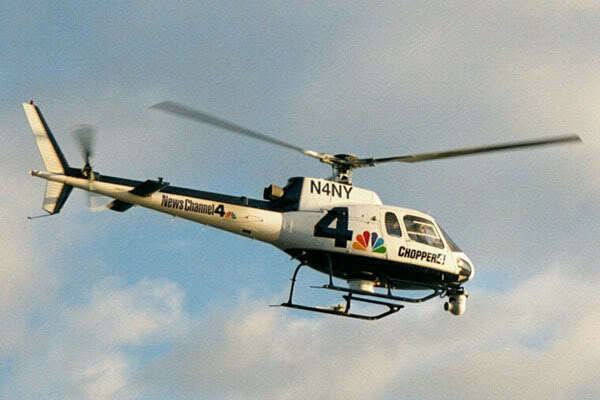 Journalistic objectivity is a significant principle of journalistic professionalism. 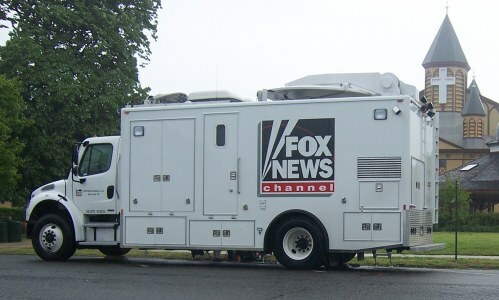 Journalistic objectivity can refer to fairness, disinterestedness, factuality, and nonpartisanship, but most often encompasses all of these qualities. Democracy requires the active participation of citizens. Ideally, the media should keep citizens engaged in the business of governance by informing, educating and mobilizing the public. In many democracies, Newspapers, radio have become the medium of choice, as they are less expensive and more accessible. FM and community radio have been effective instruments for promoting grassroots democracy by airing local issues, providing an alternative source of information to official channels, and reflecting ethnic and linguistic diversity. The Internet, too, can play such a role, because of its interactivity, relatively low costs of entry and freedom from state control. To various journalist around the world, Objectivity in Journalism means different things to different people (The media house owner, the sponsors, advertisers and the journalist) To an English-speaking person it usually means something like impartial; to a political ideology it means whatever serves the party but at least dispassionate. Devoid of or unaffected by passion, emotion, or bias but the notion of political correctness has already stifled the sense of fair play as being demonstrated on our media outlets, in the cases of Washington Post, Washington Times and Washington DC media outlets, the notion that the journalist was put on earth to advance progressive causes. 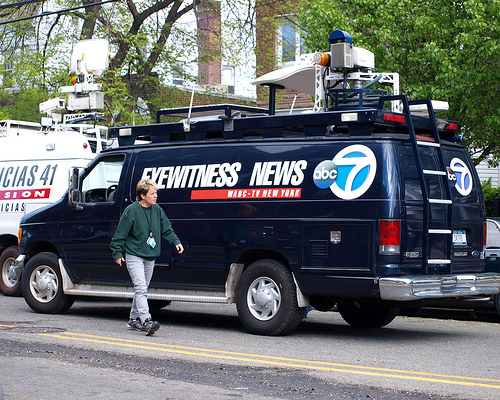 Most newspapers and TV stations depend upon news agencies for their material, and the major global agencies (Agence France-Presse (formerly the Havas agency), Associated Press, Reuters and Agencia EFE) each four began with and continue to operate on a basic philosophy of providing a single objective news feed to all subscribers. That is, they do not provide separate feeds for conservative or liberal newspapers. Yet we are still being taught in school that people are entitled to their own opinions, but they are not entitled to their own facts. If you’re not in the clique (the Insider) you’re a reactionary. If you’re not part of the solution, you’re part of the problem, is one of the innumerable slogans of the journalism world and reporting today. 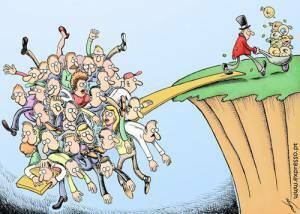 The reality, however, is that the media in new and restored democracy do not always live up to the ideal of what is right. They are hobbled by stringent laws, monopolistic ownership, and sometimes, the threat of brute force. 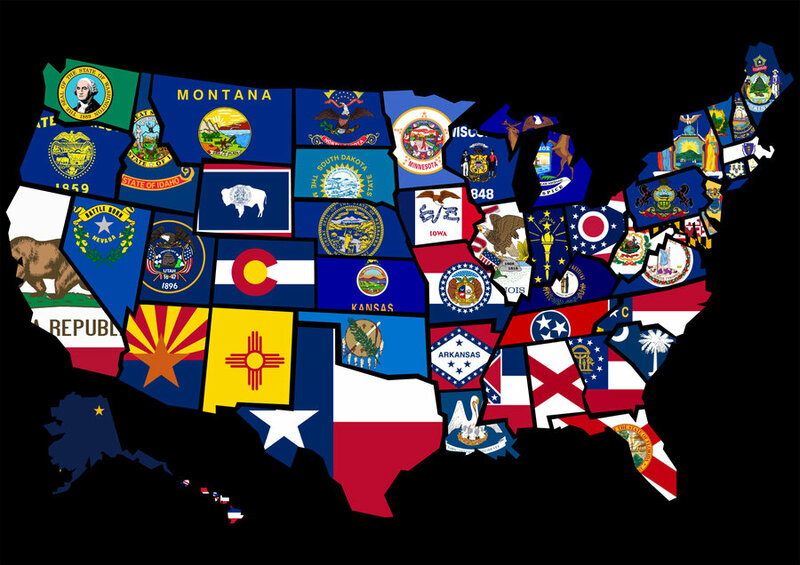 State controls are not the only constraints. Serious reporting is difficult to sustain in competitive media markets that put a premium on the shallow and sensational. BUT-That you will know the truth, and the truth will make you free. Many of us in the Reform Sasscer Movement have always been thrilled by that Gospel line ever since we knew it. That the truth can be very large, or even very small, we take as itself true. To get a few modest facts right, where they are hard to discern, because the plausible is in conflict with the actual, is the kind of aspiration that can be heroic in a journalist. And to admit the fact that contradicts all one’s assumptions is the mark of an honest man. Must a writer always be serving something? We think so. He or she is obliged, however, to think through what he or she serves. BUT if we think that journalists are all objective, fair with no political axes to grind we are just fooling ourselves. Sometimes of course the journalist is simply a dupe, a gullible or innocent pawn of the scheming and deceit swirling behind the closed doors and frequently journalists handle information in way or in an attempt to bolster a certain position within the structure or simply for his self-importance….VANITY plays a role of significant importance on both sides, the journalist publishes information and dines out on his revelations for essentially the same reason that officials violate their oaths of confidentiality in order to be perceived as members of a know-all insiders’ elite. As we move into the future, we would like to see the journalists operating in Prince George’s county in particular and many other parts of the world investigating more. The journalist needs to ask tough questions to Rushern Baker led administration and especially within the schools. In many fledgling democracies, the media have been able to assert their role in buttressing and deepening democracy. Investigative reporting, which in some cases has led to the ouster of presidents and the fall of corrupt governments, has made the media an effective and credible watchdog and boosted its credibility among the public. Investigative reporting has also helped accustom officials to an inquisitive press and helped build a culture of openness and disclosure that has made democratically elected governments more accountable. Training for journalists, manuals that arm reporters with research tools, and awards for investigative reporting have helped create a corps of independent investigative journalists in several new and restored democracies. Otherwise, without an engaged media as Watchdog, as guardian of the public interest, and as a conduit between governors and the governed, future of Rebranding Prince George’s County and Maryland as a whole is doomed. >>> Read more > Vote against longer term limits, fewer papers of record in Prince George’s. Nurses in Prince George’s will administer vaccines at 15 schools. 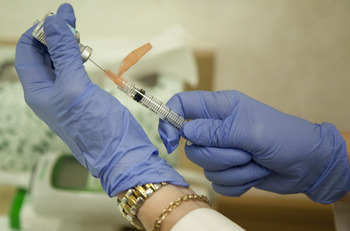 According to Washington Post report and our recent exposure, Nurses are administering vaccines to students at 15 middle schools in Prince George’s County this week as the county makes a final push for students to get their required vaccinations before Friday’s deadline. More than 3,000 students in Prince George’s still needed their vaccinations as of last week and they are in danger of not being able to attend school after the deadline. County school officials said they have used an aggressive outreach effort to remind parents of the impending deadline. 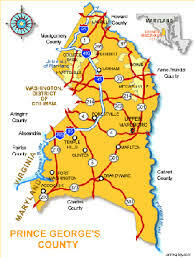 Max Pugh, a spokesman for the school system, said permission slips are available on the school districts Web site at http://www.pgcps.org or at the individual schools. The vaccines will be administered during the day. Angela M. Wakhweya, chief of school health policy, services and innovation, said the school district concentrated its efforts on the middle schools because the majority of the students who have not received the vaccines are in the seventh grade. 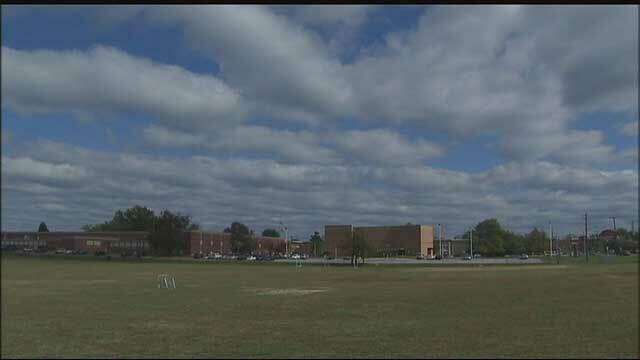 The Maryland Department of Health and Mental Hygiene agreed last month to grant a 45-day extension to several school districts after superintendents raised concerns about children missing school because they could not meet the original deadline. Oct. 31 is the new deadline set for Prince George’s County, which has the largest number of students in the state who still need vaccines. “From a Distance” is a song written in 1985 by American singer-songwriter Julie Gold. Gold was working as a secretary at the time for Home Box Office and writing songs in her free time. Gold’s friend, Christine Lavin, introduced the song to Nanci Griffith who first recorded it for her 1987 album, Lone Star State of Mind. It quickly became a favorite of Griffith’s fans around the world. The song also became subject of many interpretations with the most famous being the version above by Bette Midler. Five years ago, educators at Elkhart Community Schools realized they had a problem. Their dropout rate was too high. More than one third of the northern Indiana school district’s students weren’t graduating from high school on schedule. Among Hispanics, who make up about a third of the student body, the figures were even worse. It seems to be working. In 2013, 85 percent of Elkhart’s students graduated on time, putting the district close to the state average. Perhaps even more remarkably, the graduation rate among Hispanics is now equal to — or even slightly above — that of the district’s overall population. Elkhart’s improvement is a particularly dramatic example of a nation-wide trend: Graduation rates are improving, especially for Latinos.1 Nationally, the on-time graduation rate topped 80 percent for the first time in 2012, up from 74 percent five years earlier. For Latinos, the graduation rate is up more than 10 percentage points over the past five years, to 76 percent. The decline in the dropout rate — which looks at whether students earn a diploma at all, not just at whether they do so within four years — has been even more dramatic. In 2000, 12 percent of Americans ages 18 to 24 hadn’t graduated high school, according to a Pew Research Center analysis of Current Population Survey data. By last year, that figure had fallen to 7 percent. Among Hispanics, the dropout rate has fallen from 32 percent to 14 percent over the same period. Blacks and whites have experienced smaller but still significant gains. The falling dropout rate among Latinos is partly due to shifting demographics, especially the rising share of the U.S. Hispanic population that is native-born. The Census figures that Pew used count everyone between ages 18 and 24 without a high school diploma as a “dropout,” regardless of how long they’ve been in the U.S. A high school dropout who immigrates from Mexico at age 20 will show up in the Census figures, even though he never attended school in the U.S. Immigrants are less likely to have completed high school than the native-born population, so as more Latinos are born in the U.S., the Hispanic dropout rate will tend to fall. The weak economy, too, could be part of the explanation. People are more likely to drop out of school when jobs are available to them. The housing bust wiped out millions of jobs in the construction and manufacturing sectors, both major sources of employment for less educated Americans. But while the decline in the dropout rate has accelerated since 2008, at least for Hispanics, it long predates the recession. In other words, the declining dropout rate reflects a genuine improvement in Latinos’ educational success, not a statistical quirk. 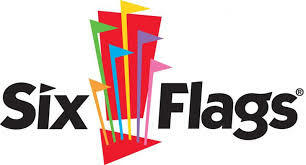 …of possible violence at Six Flags this past weekend as crowds keeps off. Suitland High School principal Nate Newman thwarted a major fiasco in Six Flags this last weekend. 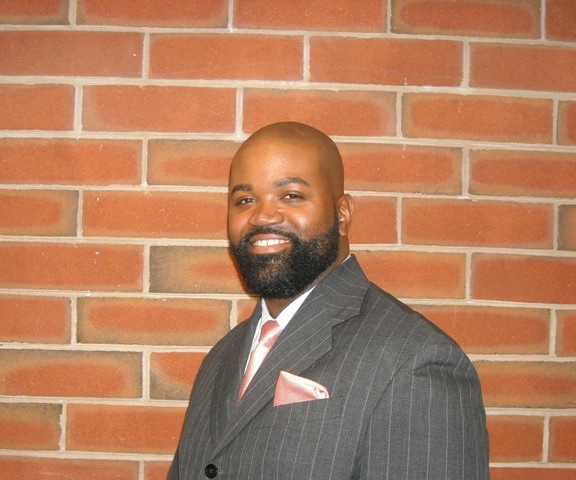 Suitland High School principal Nate Newman who thwarted a major fiasco from happening at Six Flags America’s Fright Fest this past weekend is being commended for a job well done by some county community leaders. 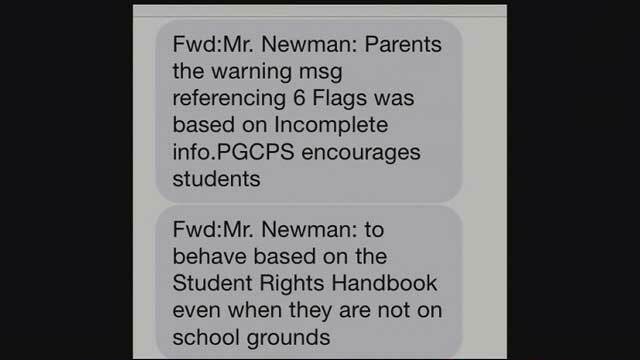 However, some school officials at Upper Marlboro (PGCPS School system HQ) backed off the warning. See below. 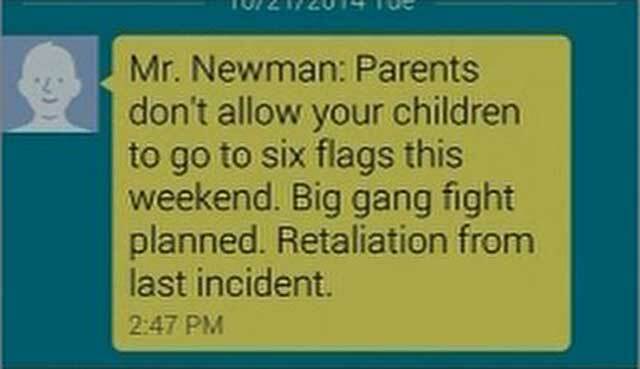 Mr. Nate Newman had warned: “Parents don’t allow your children to go to Six Flags this weekend. Big gang fight planned. 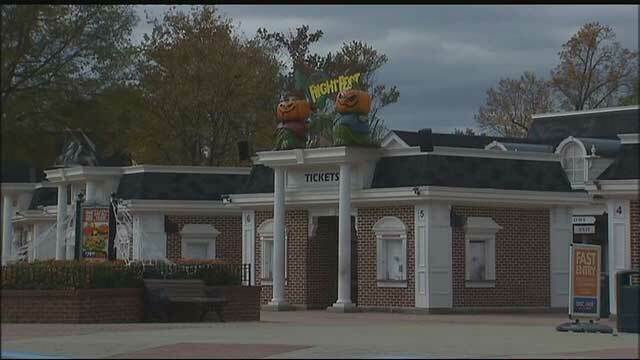 Retaliation from last incident.” As a result of this warning, many parents kept off and their children from Six Flags America’s Fright Fest this past weekend. That last incident was a melee inside and outside the park that injured two teens. A third person was hurt down the road away from Six Flags. 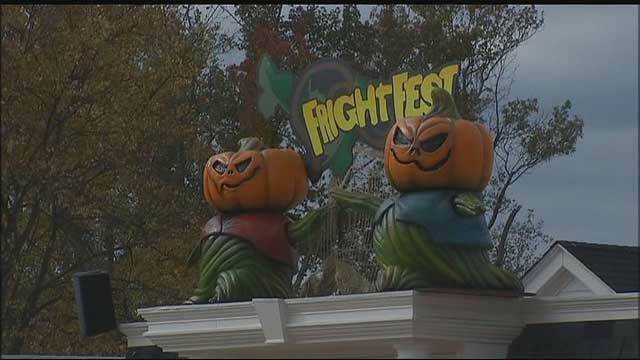 Read our earlier coverage >>>Possible violence at Fright Fest Expected at PGCPS District. 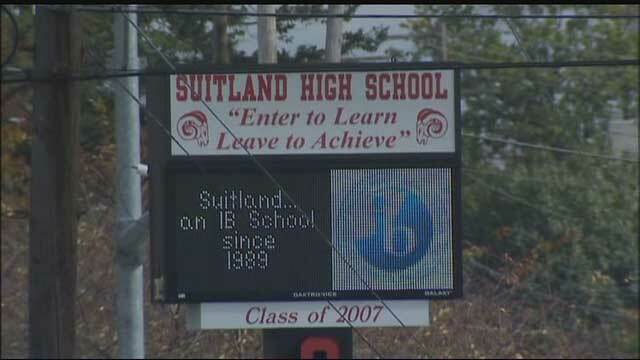 Suitland High School in Prince George’s County School District.